MAADSounds!9 presents! 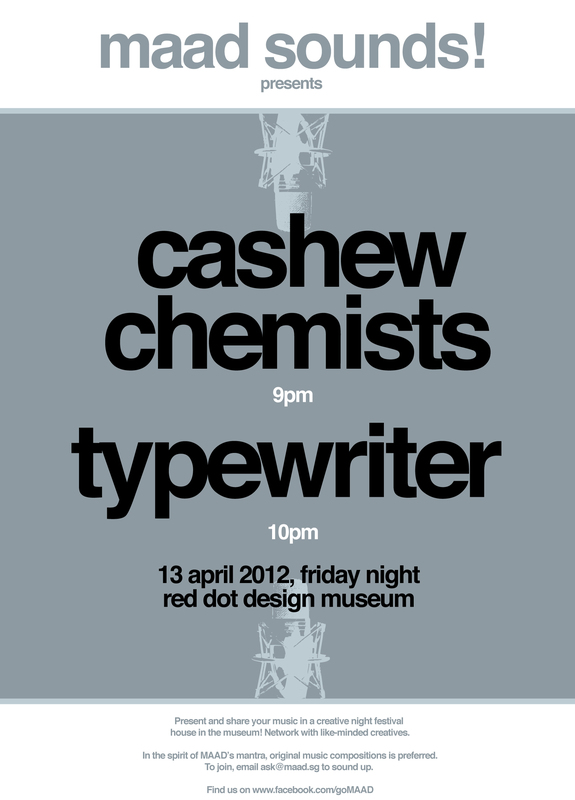 TypeWriter will be playing another gig this coming Friday 13 April @ Red Dot Design Museum. We will be coming on at 10pm, with Cashew Chemists kicking off the night an hour before us. We’ve never done Red Dot! Looking forward to this April Fever!